The last couple of years have been a pretty crazy ride for us at PHP Antwerp. We went from a handful of attendees to over 800 members on our meetup.com page. We’ve seen our meetups grow to over 40 regular attendees for each meetup. We’ve organized 28 meetups and hosted more than 50 speakers. It’s amazing to see to how the user group has evolved. As a PHP user group we have a strong connection to the broader PHP community here in Belgium and beyond. We’re very happy to be part of 6 dedicated user groups in Belgium who are putting their time and effort into hosting their meetups and we’re glad to call each and one of them our friends. That’s why we decided to rebrand ourselves as Full Stack Antwerp. We do this because we want to be more inclusive to other types of developers besides PHP developers and and to be open and welcoming to everyone who’s interested in learning and networking about programming and web development. You don’t need to be a full stack developer to attend our meetups. We are welcoming everyone who’s interested in programming, wether it’s front-end, back-end, devops or more. So what changes? Well, besides our new name and logo not much really. We’ll continue to host meetups like we do now, offering the same type of talks as we did over the past year and so on. We’ll still keep a strong connection to our friends in the PHP community and still be giving PHP talks amongst others. We’re just opening up the possibility to offer a more diverse range of talks. Besides our re-branding we also have something else to announce. We’re starting a new Slack community called Full Stack Belgium for the entire developer community in Belgium. Here, we aim to offer a single place where Belgian developers can join and share knowledge, network and help each other out. We want to offer a safe place and bring developers in Belgium closer together. 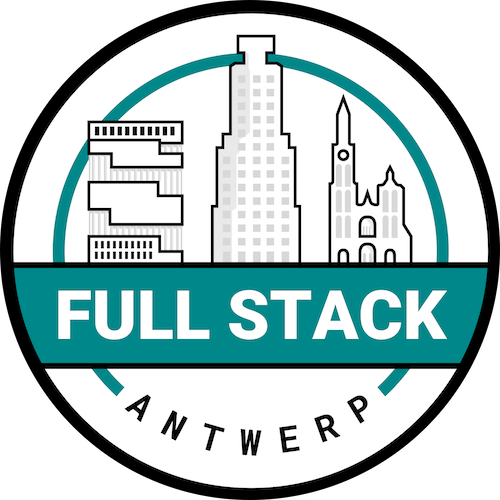 Give it a try and join us at fullstackbelgium.be! We’re excited for the future to see where our new path leads us. Hopefully we’ll see you at one our upcoming meetups. Our next meetup is planned for the end of May and we hope to see you there!